It seems like there’s a new data breach every week, so it’s understandable that a lot of people are becoming more and more worried about their privacy when it comes to the web. There’s no guaranteed way to completely delete yourself from the internet forever (no matter what you do). There’s always a chance that something will pop up that you’ll need to deal with, or there might be some information that’s extremely difficult to delete. You can get pretty darn close. As a matter of fact, deleting yourself from the internet is now more doable than ever. We know what works and what methods to focus on more than we did a few years ago. There are two options you can take when it comes to deleting yourself from the internet. Option 1: Use our tools and software to automate the process and save you a ton of time. This will also bring you the best results without you having to learn everything yourself. Option 2: Roll up your sleeves and do it yourself. This will require you to put in hours of learning and implementing various tactics to help delete yourself (it’s just the reality of the situation). That might seem like an obvious choice, but we want to lay out both options for you. The main reason is there are a couple features we offer that cost money, so if you want to do go all-out you’ll likely have to swipe a credit card at some point. If you’re already sold on Option 1 and don’t want the headache of having to do everything yourself, head over to this page and get started. However, if you’re dead set on doing everything yourself we still recommend you at least sign up for a free account. There are free features you can use that will still save you some time during the process of manually deleting yourself from the internet. Trust us, you’ll want all the help you can get. Here’s the magic link where you can sign up. If you’re planning on using our software to handle everything for you, you don’t need to read any more of this post if you don’t want to. It has useful information about how to delete yourself from the internet, but since our tools are doing the heavy lifting you can go back to Netflix if you want. Study the heck out of this post (and all the linked resources too). You likely have a lot of catching up to do, and you’re going to want to understand this as thoroughly as possible. This might seem slightly bleak but we want to be realistic. Learn how to delete yourself from the internet takes time, there’s no way around it. But once you learn, you’ll be able to massively impact the amount of info that can be found about you on the web. One of the most commonly misunderstandings about the process of deleting yourself from the internet is that you only have to worry about one or two websites sharing your info. Unfortunately, this is not the case at all. If info such as your name or address is on one site, there is a very strong chance that it’s on a handful of others as well. To make things even more difficult it’s not always the same sites you have to look out for. There are definitely some that come up more often than others, but there’s no way of knowing for sure until you take a look yourself. The reason for this comes from a simple principle that manifests itself in various technological practices. Well what the heck does that mean? We promise we didn’t write it just to sound smart and fancy. More and more over the last 10 years websites in all industries have invested and committed to the idea of content as a source of growth. This could mean blog posts, videos, or even your personal details. As a result, the amount of content websites are expected to produce has increased exponentially. In order to keep up with this demand many have started to implement various types of software to help them achieve their goals. So how does this relate to your info? Sites that aggregate and share this info lean more heavily on these technological practices than almost any other kinds of content-based businesses right now. It would be impossible for them to find all this data manually, so they have software do it for them. This means if you want to learn how to delete yourself from the internet you need to be aware of these sites and how they feed off one another. The most common way these “people search websites” get your data in the first place is from public records. Public records have been accessible to anyone for quite some time, except you used to have to visit a records office to view them. These days, databases that collect your information will compile as much as they can from public records and share it online. There are hundreds of these sites out there. 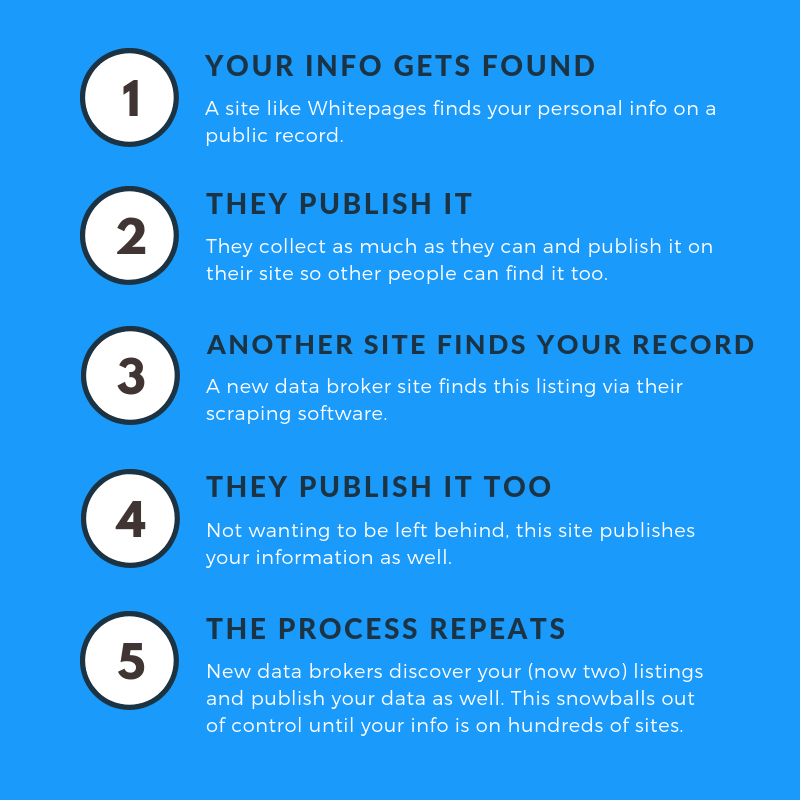 Instead of starting from scratch and searching public records all over again, other sites will simply scrape this info from competitors and add it to their own database. When you have so many popular sites that share the details, you can see how this would get out of hand quickly. To make matters worse, the opt out process for these can be very time consuming when you add them all up. If your details aren’t found on a run-of-the-mill “people search” site then that will change your strategy a little bit. This is when tactics like outreach, suppression, and removal requests will be used more heavily. We’ll get into that a little more later on. In order to delete yourself from the internet you need to be comfortable with these basics at the very least. 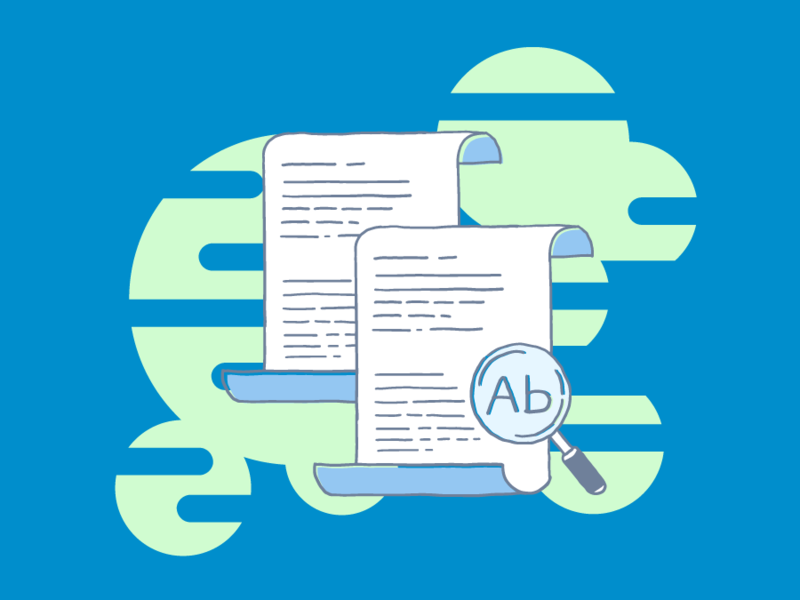 There are many other ways that your info can get passed around online, and we will address more of them a bit further down. If you’re trying to delete yourself from the internet and your main concern is with a database like Whitepages, you are actually fairly lucky. While dealing with these sites can be extremely tedious at times, it’s actually very simple to delete everything off of them. Legally they have to acknowledge your request to opt out, so all it takes is for you to follow the steps correctly. The exact deletion process for each of these sites is slightly different, but similar in principle. Typically what you will do is find the page that has your info first, then using that to complete the process of getting your info off their site. If you have trouble with a certain site you can always contact them directly and have them help you. If you don’t hear anything back after a few days feel free to get in touch with us instead and we’ll give you a hand. In order to be absolutely sure that everything has been deleted from these kinds of sites you’ll want to spend some time scouring the web for any you might have missed. The easiest way to do this is with a combo of running a scan through our software, and searching your name in Google. Our software will not only help you delete yourself from the internet by scouring your search results for possible mentions of your name, but it also has a separate section completely dedicated to scanning these kinds of sites. It also can help walk you through the process of suppression which is yet another way of protecting info like your name or address (we’ll get into that later). You should also spend a few minutes conducting a Google search to look for anything else you might want to get rid of. This is a great way to cover your bases and double check that our software didn’t miss anything. With so many new sites being created each day that aggregate and share your info, it’s entirely possible for one or two to slip through the cracks. You never want to bank on just one method of identifying details you’re not comfortable with other people seeing. This is where things can get a lot more complicated. With the kind of sites we mentioned above, they HAVE to fulfill your request to get your data off of their site. Unfortunately in these situations you don’t have the luxury of simply clicking a few buttons and deleting yourself from the internet. The most successful strategy can vary on a case-by-case basis. This is based on factors such as the volatility of the source, its position in search results, the nature of the content, and more. You’ll need to exercise some good judgment when deciding what path you want to take. The nice thing is that you really only have two main options and when you use both together, it’s extremely effective. Let’s break down the two options you have and how to utilize them in the most effective way possible. Understanding these will give you the knowledge you need to make a decision on how best to proceed for your specific situation. This is the most direct way to accomplish your goal, but it’s also not nearly as simple as it might seem. In fact, many people make the mistake of jumping into this option without thinking about the potential downsides. Although you might think that the worst case scenario is simply a “no” from whoever published it in the first place, it’s quite common for that to actually make matters worse. If someone has posted your details out of spite this could rile them up even more and encourage them to take it to the next level. Publishing even more on other sites (or on the original source) is common, but you would be surprised at how creative people can get. We’ve heard from people who needed to do ten times the work minimizing damage after a failed outreach attempt. If you aren’t confident in your ability to get a positive response it’s best to move on to option two. However, if you think your target will be receptive you want to do it tactfully. This tactic is one of the fastest ways to delete yourself from the internet, so you don’t want to blow it. The first thing to do is come up with the pitch you’ll use. This might seem obvious, but you want to plan and communicate it clearly to have the best chance of getting a favorable response. If it’s something like a credit card or Social Security number that the webmaster was simply unaware of you’ll likely have a good chance of getting it removed. That’s because the legality of posting this information is not in question. Other kinds of details like a name or even an address might not be met with the same sense of urgency. Another thing that you have to be aware of when reaching out is a potential lack of response. Many websites don’t have up-to-date contact information or simply never check their generic “contact us” email address. Regardless, you should still do everything you can to contact and make your case. Give them a week or two and then follow up. You can also try finding their social media accounts as well. Tip: You can use a tool like Hunter to try and uncover email addresses linked to the site in question. This will sometimes turn up better options than a standard contact email. As you can see, the situations where you would use and find success with option one can vary significantly. Sometimes it works, sometimes it doesn’t. There’s really no way to be sure before you try. With this being the case, it makes sense to have another option at your disposal. Option two is all about utilizing suppression to your advantage to make sure private data and info stays unseen. Doing this well means you’ll be able to keep everything far more secure, even if it doesn’t end up being completely deleted from the web. If no one can find it, it’s almost as good as not being there at all. To make sure you’re completely protected online a combination of option one and two can be extremely powerful. This is why we are big advocates for option two even if you have a good chance of getting things deleted directly. The reason why we love this option for almost anyone who wants to delete themselves from the internet is simple, it allows you to take matters into your own hands. No matter what kind of info you’re concerned about or what type of site it can be found on, you can implement a suppression campaign regardless. This works especially well for situations where you have multiple sites you’re concerned about or if someone is trying to harm you by sharing details about you online. This can work well to combat sites like Spokeo as we mentioned earlier or even false claims on Ripoff Report. It’s extremely versatile and will open up a lot of options. The vast majority data that’s found on online is done so through search engines, with Google being the dominant one. If you want to prevent other people from easily finding it then you need to control what they see when they look you up online. It might sound a little far-fetched at first, but it’s actually relatively simple as long as you know what to do. As a matter of fact businesses use these techniques all the time to help potential customers find their content online. In order to accomplish this you’ll need to create a handful of web properties that you can optimize to rank for your name. This means signing up for the major social media sites like LinkedIn, Facebook, Twitter, and Google plus. It would also be extremely beneficial if you registered your own personal domain name and set up a website. To some this might seem like a way to share more information about them, not less. This couldn’t be further from the truth. You can share as much or as little information on these web properties as you want. Heck, you could even make up a fictional person with the same name as you. 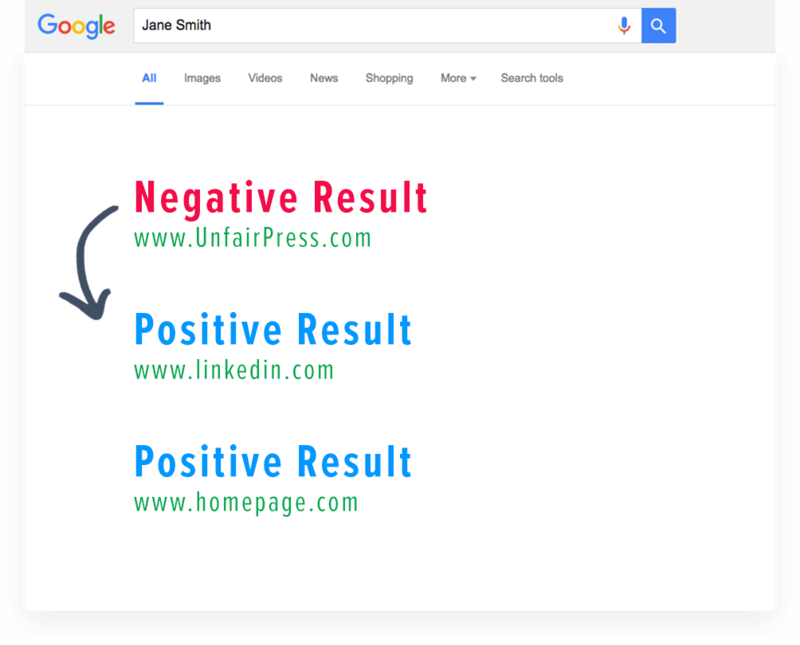 All that matters is you optimize and interlink them together, sending clear signals to Google and helping you rank for your name. If you want to truly understand how to delete yourself from the internet, you NEED to be using this tactic. 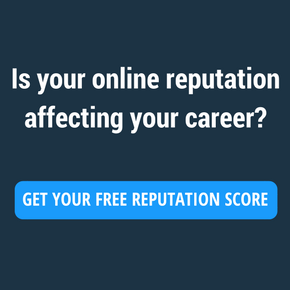 If you want to learn all the details about suppression and controlling your results online, read our online reputation management guide. This covers everything you need to get started with a strong suppression campaign. This might seem like quite the undertaking. We totally understand, it’s quite a lot to take in. If you’re set on handling everything yourself, the most important thing is to do something each day. This means that the sooner you get the ball rolling the better. Take the early steps and get as much of the waiting behind you as possible. Deleting yourself from the internet doesn’t require skill as much as it requires consistency. Now get started!